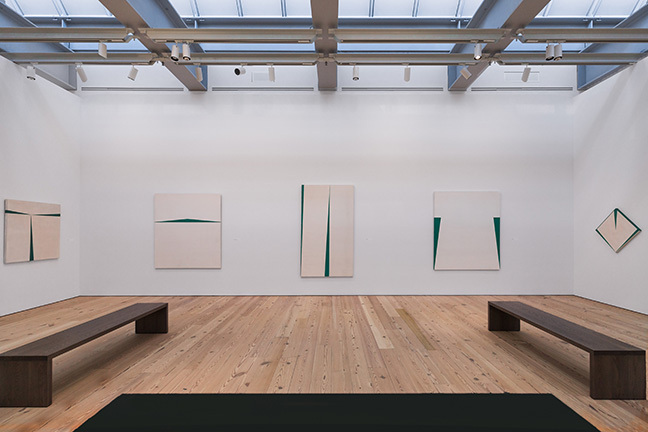 Carmen Herrera: Lines of Sight is the first museum exhibition of this groundbreaking artist in New York City in nearly two decades. It focuses on the years 1948-1978, the period during which Herrera developed her signature, hard-edged style. 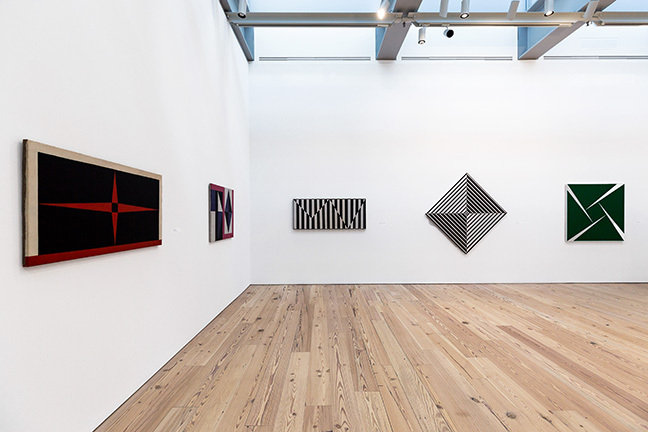 The exhibition features fifty works, including paintings, three-dimensional works, and works on paper. It is divided in three sections. 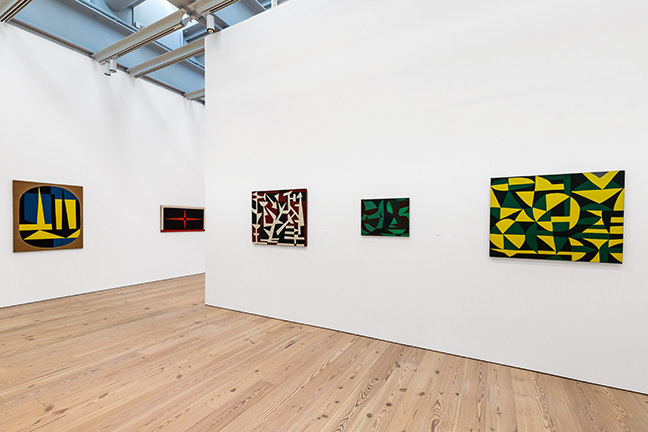 The first section features earlier works from the formative period, 1948-1958. The second section, and, centerpiece of the exhibition, features works which Herrera considers her most important series, Blanco y Verde. The third section features work dating from approximately 1962-1978. 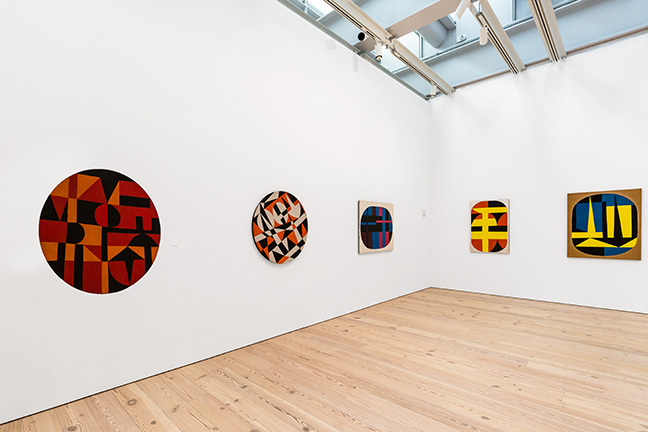 “Herrera has been painting for more than seven decades, though it is only over the past decade or so that acclaim for her work has catapulted the artist to international prominence. This overdue evaluation offers the first comprehensive look at her early career, the result of time spent in the art worlds of Havana, Paris, and New York,” explained Dana Miller, Director of the Collection at the Whitney Museum of American Art. The exhibition was organized by Miller in close collaboration with the artist. Carmen Herrera (b. 1915, Cuba), Green and Orange, 1958. Acrylic on canvas, 60 x 72 in. (152.4 x 182.9 cm). Cejas Art Ltd. Paul and Trudy Cejas © Carmen Herrera. Installation photograph by Corrado Serra for Arts Summary. 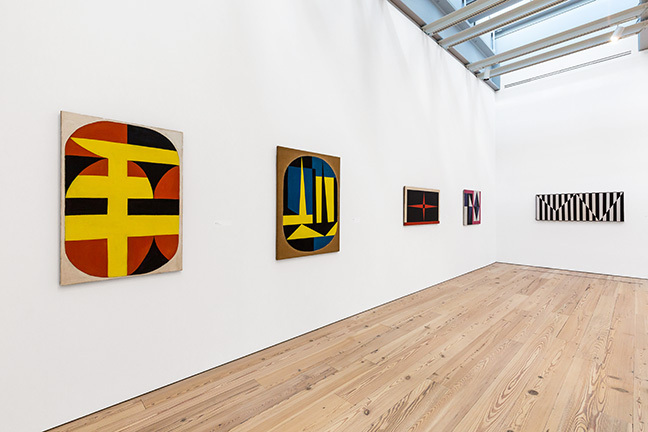 Installation view of Carmen Herrera: Lines of Sight. Photograph by Corrado Serra for Arts Summary. 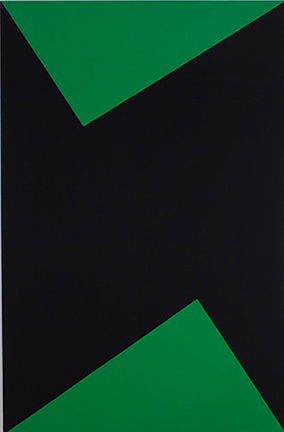 Carmen Herrera, Wednesday, 1978. Acrylic on canvas, 66 x 42 in. (167.6 x 106.7 cm). Museum Pfalzgalerie Kaiserslautern, Kaiserslautern, Germany, M 12-346 © Carmen Herrera; courtesy Lisson Gallery. Image courtesy Whitney Museum of American Art. 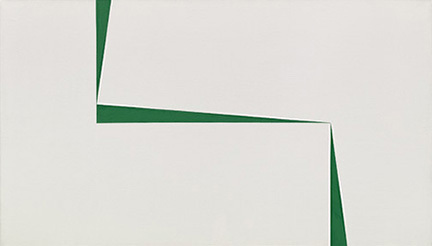 Carmen Herrera, Friday, 1978. Acrylic on canvas , 62 x 42 in. (157.5 x 106.7 cm). 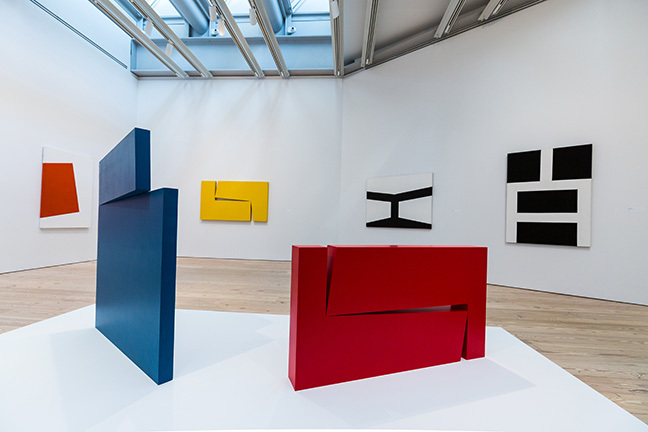 Collection of the artist, courtesy Lisson Gallery © Carmen Herrera. Image courtesy Whitney Museum of American Art. Carmen Herrera, Untitled, 1948. Acrylic on canvas, 48 x 38 in. 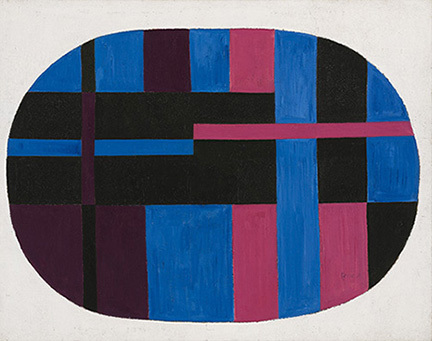 (121.9 x 96.5 cm). Collection of Yolanda Santos. 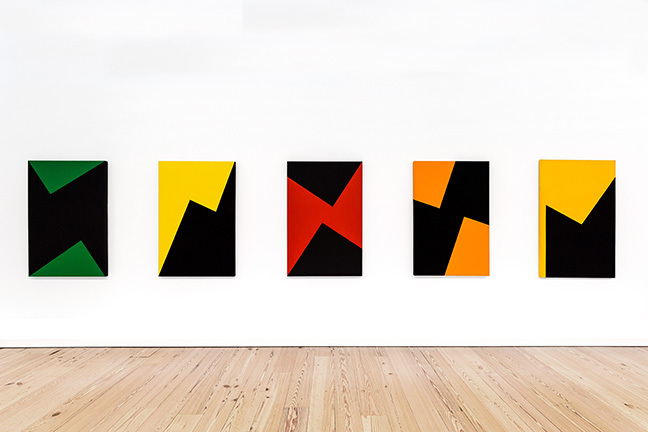 Art © Carmen Herrera. Image courtesy Whitney Museum of American Art. 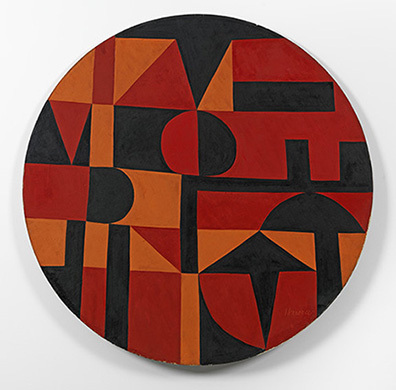 Carmen Herrera, Iberic, 1949. Acrylic on canvas on board, diameter: 40 in. (101.6 cm). 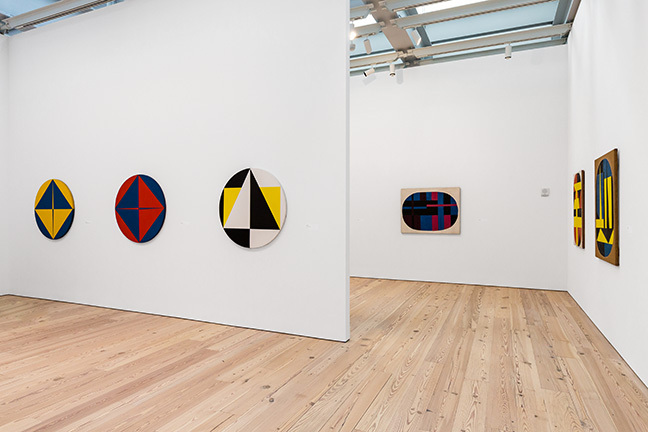 Collection of the artist, courtesy of Lisson Gallery © Carmen Herrera. Image courtesy Whitney Museum of American Art. Carmen Herrera, Equation, 1958. Acrylic on canvas with painted frame, 24 x 42 in. (61 x 106.7 cm) Collection of Stanley Stairs and Leslie Powell © Carmen Herrera, courtesy Ikon Gallery. Image courtesy Whitney Museum of American Art. 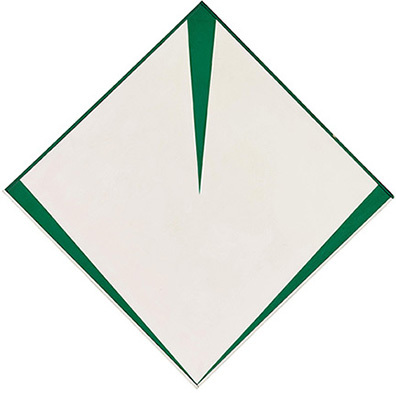 Carmen Herrera, Blanco y Verde, 1959. Acrylic on canvas, 68 1/8 × 60 1/2 in. (173 × 153.7 cm). Whitney Museum of American Art. Purchase, with funds from the Painting and Sculpture Committee. Art © Carmen Herrera. Image courtesy Whitney Museum of American Art. 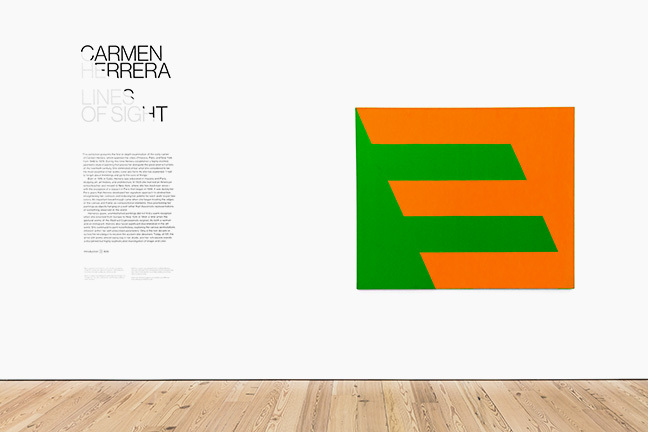 Carmen Herrera, Irlanda, 1965. Acrylic on canvas with painted frame, 34 3/4 x 34 7/8 in. 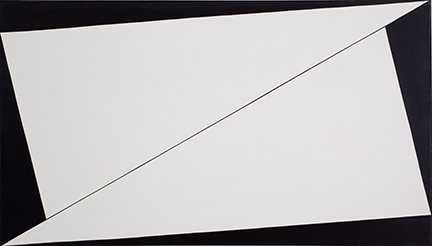 (88.3 x 88.6 cm) Collection of Pérez Simón © Carmen Herrera. Image courtesy Whitney Museum of American Art. 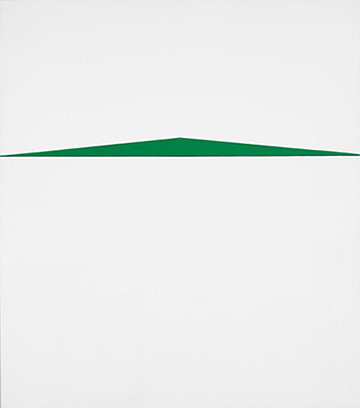 Carmen Herrera, Blanco y Verde, 1967.Acrylic on canvas, 40 x 70 in. (101.6 x 177.8 cm). Private Collection, New York. 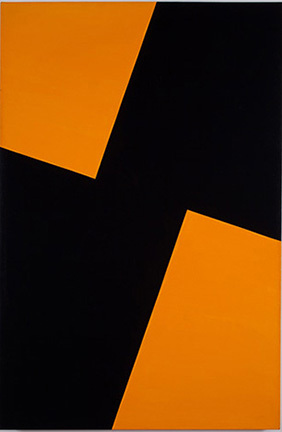 Art © Carmen Herrera. Image courtesy Whitney Museum of American Art. 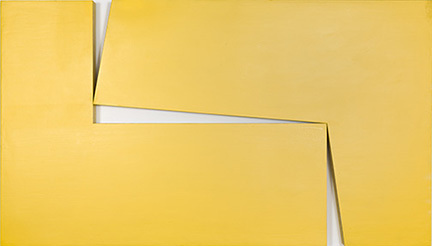 Carmen Herrera, Amarillo “Dos”, 1971. Acrylic on wood, 40 x 70 x 3 1/4 in. (101.6 x 177.8 x 8.3 cm). 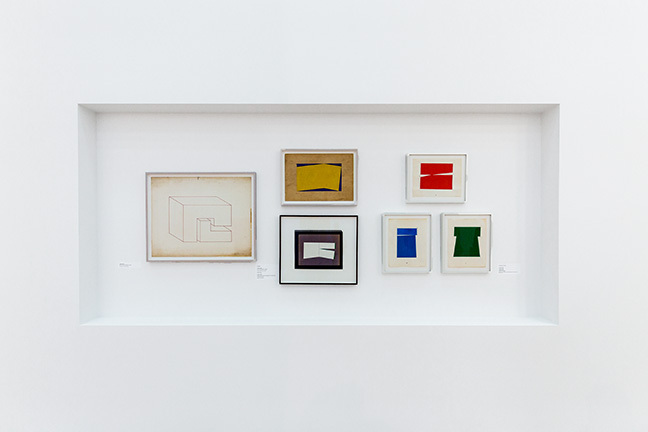 Private collection © Carmen Herrera. Image courtesy Whitney Museum of American Art.